Let's explore the rich culture, beautiful scenic view, delicious and colorful gourmet,high infrastructure, high life-style, tourist spot, people and educational activities of Korea from my window called the "MYSTIC KOREA". First lady Michelle Obama disclosed her recipe for kimchi, as her husband President Barak Obama commences his second term. 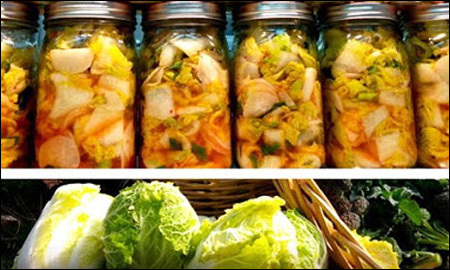 The recipe was posted on Michelle Obama’s Twitter account with her comments and photo of jars of kimchi and the harvested cabbages grown in her garden. The kimchi in the photo she posted does not look as red as the Korean traditional variety with scallion, white radish, spiced with fresh Korean chili powder, garlic, ginger, sugar and salt. The ingredients and preparation were also modified slightly for Western tastes. Geek who loves doing thing in her own ways, no regrets, each experience counts.